Polar Parcel, a Christmas themed scavenge hunt! Santa had a mishap in the sky and ended up losing all his presents throughout the North Pole. The citizens are counting on you to find them all and return them to the workshop! Find them all and save the spirit of Christmas! You collect the presents automatically by bumping into them. Pressing Z will drop all presents you are currently pulling. This game was made for Pokitto. 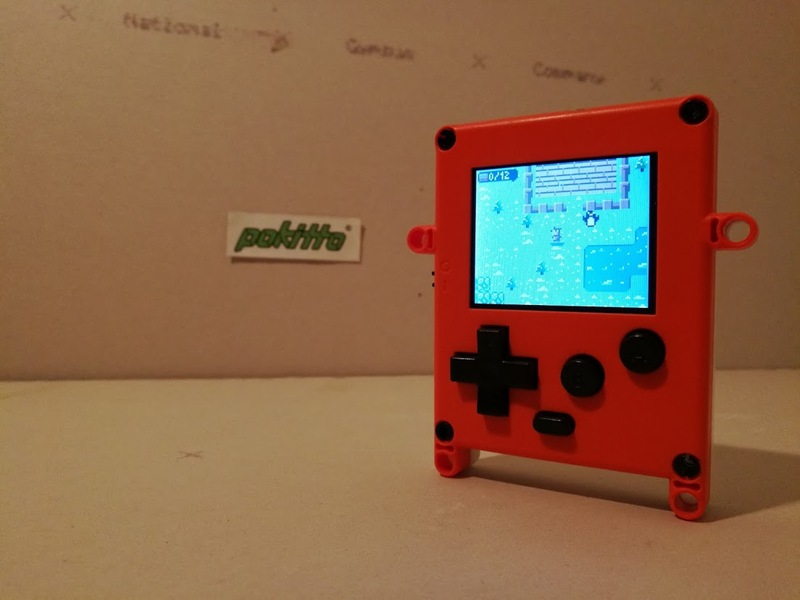 A tiny game console based on an ARM Cortex-M0+ core. It has 36 kB of RAM and 256 kB of program memory! Thanks to the creators they provide a "simulator" that can run Pokitto game code on Windows. This version available for download is the same game as the one seen running below.